Faced with a competitive and constantly changing environment, an accelerated pace of change and transformation is imposed on public and private institutions. In the public sphere the pressure is constant, there is a growing demand from society to meet emerging needs, thus requiring the application of new practices in the operation and management of organizations, and improvement of services and processes. As a central instrument of the innovation strategy, the Municipality of Porto seeks to apply the guiding principles of service design to the (re) design of more efficient and accessible public services, as well as to promote a sustainable organizational change. The aim is to equip the organic structures of the Municipality of Porto with skills based on creative and analytical methodologies, which help to understand the needs of citizens, transform the way of operating services, more efficient and efficient, reducing cost and time, and build a relationship of trust with citizens. Build a relationship of trust with the citizens: appeal to transparency and integrity of the services and decision making; appeal to safety in the use of citizen’s personal data. Support and promote the development of innovative projects for the Municipality, by using creative and analytics methodologies, where the team and citizen participation are central factors. José Pedro Ferreira, Técnico Superior. Fernanda Santos, Chefe de Divisão.  Participante do Porto GovJam, 2018. Exploration sessions and co-creation of challenges and identified problems. Redesign of the end-to-end service experience.